A dialog box appears. Click on the tab "Data source". 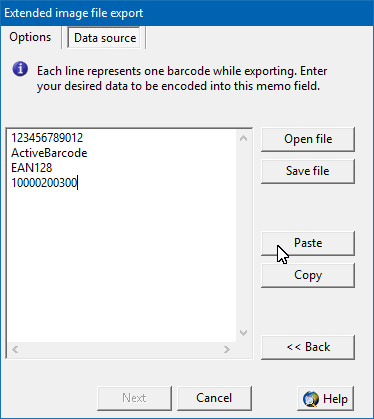 Now paste the copied data into the data field by clicking on the "Paste" button. The data copied out of the spreadsheet is inserted now into the data source. 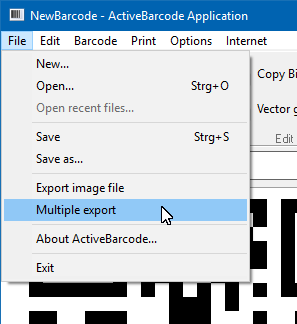 For starting the export, you change now to the tab "Options" by using the "Back" button. 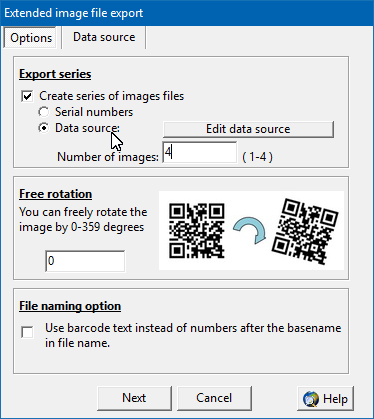 Select "Create series of image files" and choose "Data source". Enter the number of images you want to export. Now click next to proceed to select a base filename and finally the export launches.